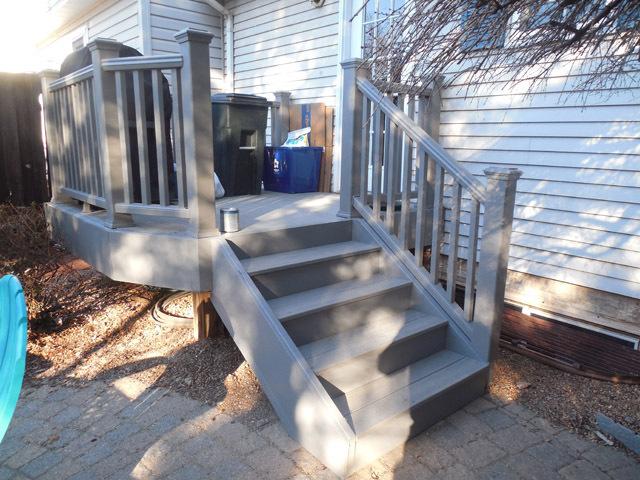 Deck stain contractor Northern Virginia is Fairfax Contractor. Fairfax Contractor can stain your old deck and make it look new. If you are looking to give new life to your Northern Virginia deck staining the wood will give your deck a great new look. 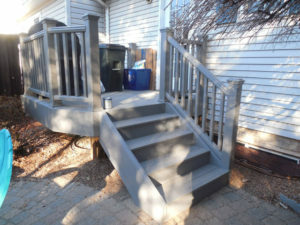 Here at Fairfax Contractor, we are experts in applying the right stains for both new and old decks. We can use a wide verity of stain color to give your deck project the look you are looking for. If you are looking to refurbish your weathered deck the first step is to check the condition of the wood. Most decks built in northern Virginia are built from pressure treated pine. Fairfax Contractor will inspect the wood on your deck and replace any rotting or damaged lumber. If your deck has damaged wood we will replace it. The next step in staining an old deck is to completely power washing the deck. When your deck is completely dry we can then start applying the stain. There are three types of stains you can use for your deck. The first type of stain you can use is a clear sealant. A clear sealant will give your deck a natural look yet let the natural beauty of the wood show. A clear sealant is best used on a new deck project. Using a clear sealant will protect the wood on your deck from staining. The next choice for staining your deck is to use a semi-transparent stain. A semi-transparent stain will show an understated color that allows the wood’s natural grain and texture to show through. A semi-transparent stain can be used on a new or refurbished deck if you want to see the wood grain. The final type of deck stain you may want to use is a solid color stain. A solid color stain is best used on a very weathered deck. Applying a solid color stain will hipe all your deck’s imperfections. What is the best brand to use to stain a new or old deck? The best brand to use to stain your Northern Virginia deck is based on the color you are looking for. The most popular deck stains include Behr deck sealant, Olympic Maximum, and Thompson’s deck stain. 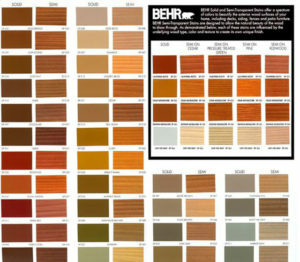 This is the color chart for Behr deck sealant chart. You can use this color chart by Behr to pick the color stain for your deck staining project. For more information on building a great deck in Northern Virginia click this link. Fairfax Contractor can stain decks in Northern Virginia counties including Fairfax County, Loudoun County, Arlington County, and Prince William County VA, and Alexandria City. This includes the cities of Alexandria VA, Annandale, Ashburn, Aldie Burke, Clifton, Centreville, Chantilly, Dale City, Falls Church,Fairfax, Fairfax City, Fairfax Station, Gainesville, Great Falls, Haymarket, Herndon, Kingstown, Leesburg, Oakton, Oak Hill, Lakeridge Va, McLean, Manassas, City of Manassas, Lake Manassas, Newington, Reston, Springfield, South Riding, Sterling, North Reston , Vienna, and Wood Bridge Virginia.